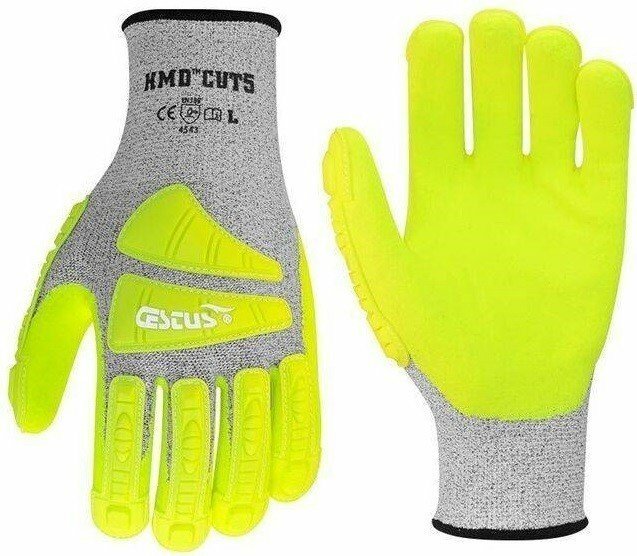 The HMD Hi-Vis Cut5 has hi-vis yellow flexible Thermoplastic Rubber (TPR) impact shields on the back to add hand visibility and impact protection that bends with the fingers, and offers continuous protection from finger tips to wrist. The oil-resistant, sandy-finished, Nitrile-dipped palm is also hi-vis yellow for hand visibility, and along with the form-fitting material, ensures oil, drilling muds and water stay out of the glove. Manufactured out of thin, cut level 5 resistant material to ensure the gloves are breathable and protect against lacerations and abrasion injuries. Hi-Vis Flexible TPR Shields: High-visibility impact shields that offer hand visibility and continuous impact resistance from fingertip to metacarpals. 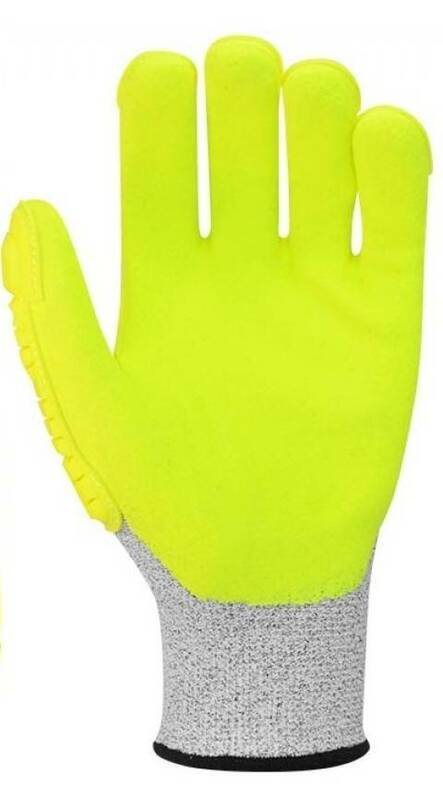 Hi-Vis, Sandy-Finished, Nitrile-Dipped Palm: Oil-resistant, hi-vis palm that adds hand visibility and allows for full dexterity while using tools or equipment. 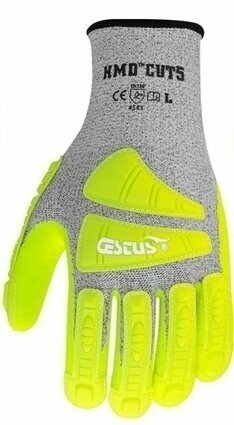 Cut-Resistant Material: Adds cut level-five resistance to glove. 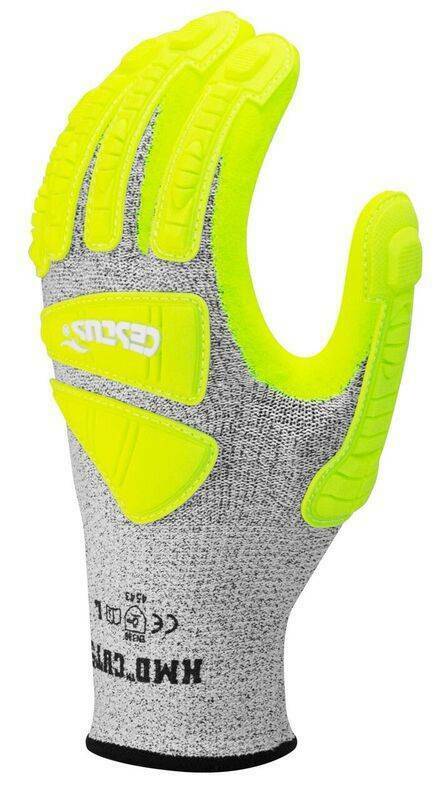 Thin, Form-Fitting Fabric: Ensures the glove is comfortable and breathable, While fitting snugly when in use.